WBC International Female Bantamweight Champion Ashley Brace will challenge Spaniard Melania Sorroche for the vacant European Title at the Newport Centre on Saturday December 9th. 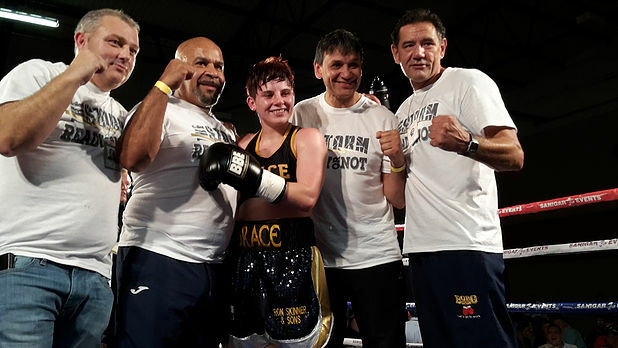 Brace is undefeated in 7 fights since turning professional in 2015 and has fast tracked her way to the top with several impressive performances, most notably a TKO victory in April over Alexandra Vlajk to claim the WBC International title. Tickets are available on from the box office on 0117 949 6699 and are priced at £60 VIP Ringside, £50 Ringside, £40 Outer Ringside, £30 Unreserved Seating. Under 16’s £10 accompanied by an adult.